So you’re at a baseball showcase…what is the first thing you do? You run the 60 yard dash right? 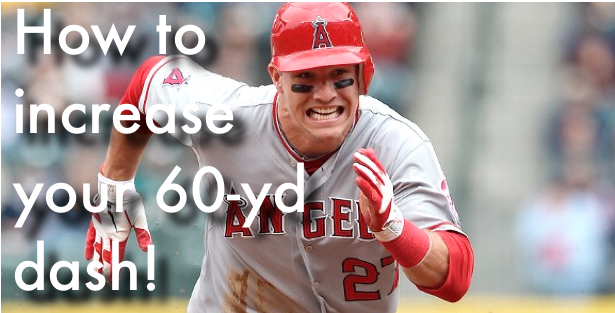 What could you have done to increase your 60 yard dash time? Should you run first or last? In cleats or turfs? Should you even stretch before the big test? Thurman Hendrix answers all of these questions in his book 60 Yard Dash Secrets but in this interview he explains to you how you can get started increasing you 60 yard dash time without out even training for the race. Many thanks to Thurman Hendrix for taking the time to share his knowledge on the art and science as well as philosophy of the 60 yard dash. Make sure you watch the full interview so that no leaf gets unturned as you prepare for your next 60 yard dash! Good luck! 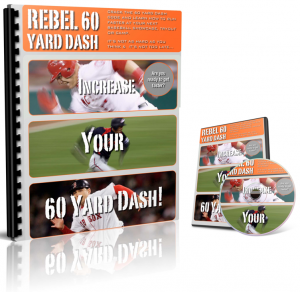 Grab your copy of The Rebel 60 Yard Dash Guide and develop your own strategy for becoming a faster baseball player. Remember: It’s not always about natural speed. It could be the smallest adjustments with your mental approach as well as little tricks that could be the difference between 2-3 tenths of a seconds. Previous post: Becoming a good baseball player is like going on a road trip!